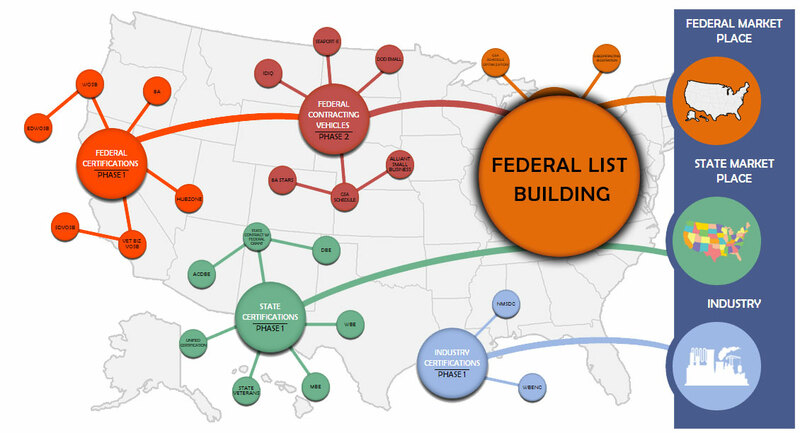 One of the difficulties in breaking into the federal contracting space is knowing who the specific buyers are within an agency of your goods or services. For most firms it is time consuming to learning how to navigate and learn how to identify the people within the federal government that purchase a specific good or service. Therefore we save clients a great deal of time and effort by building federal buyers lists for them. Typical Identified Buyer: Federal buyers that have purchased your target goods or service in the past two years. We also place on the list buyers out analyst deem to be a potential matches for your firm. Construction / Janitorial – Generally includes contact information for federal buyers in a 2-4 state region. The normal cost for this engagement is between $400-$700. IT / Consulting / Staffing – The engagement may be limited to a specific agency, geographic region, or the entire United States. Fees range between $350-3,200. Other – We can build a list for any industry please call us for a price estimate.